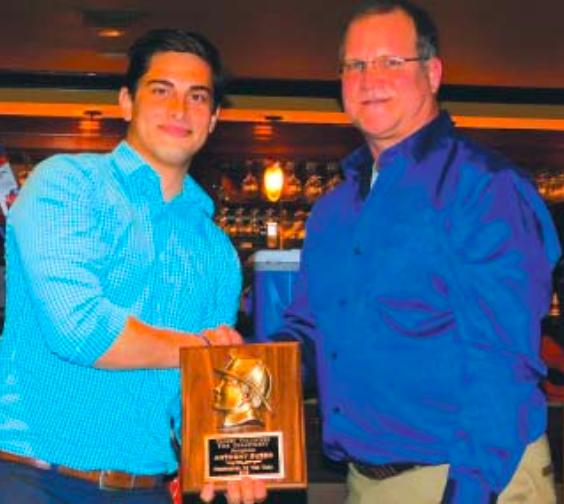 2018 Firefighter of the Year,Anthony Guzzo receives the Firefighter of the Year Award from Chief Alan Kulak. 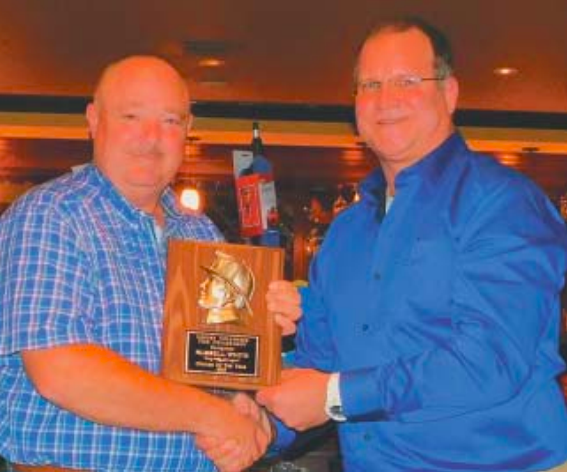 CROSBY – At the 2019 Crosby Volunteer Fire Awards, a series of heroics were recognized. Additional photos can be found in the print edition. 2018 Officer of the Year, Russell White presented by Chief Alan Kulak. According to Randy Foster of ESD 80, next week an inspection will be performed on a new Tanker 83; the department finally got a check for their services from FEMA for work during Hurricane Harvey; the project was closed out last November. Foster noted the accomplishment of lowered response times this past year. PROPOSED DISPOSAL SITE is near a residential area to the north, and McCollum Park is adjacent. The 3.5 acre disposal site is outlined above. On January 15, 2019, the U.S. Army Corps of Engineers issued a “Public Notice” regarding the proposed dredging in the San Jacinto River. 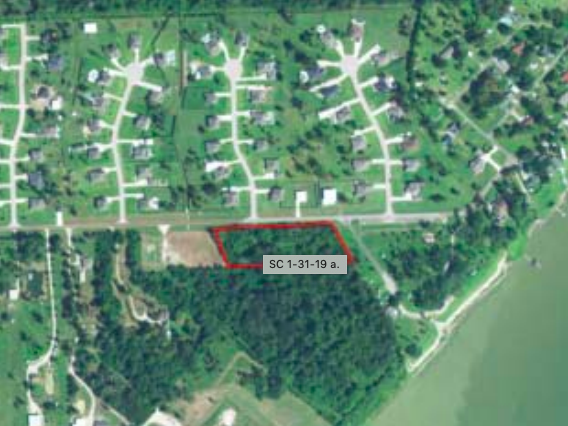 The notice described the disposal site as a tract in Beach City, even though the developer, Holtmar Land LLC, had promised the city they would amend the request from the USACE and find another site not in Beach City. Concerned that the notice did not reflect a new site, Beach City passed an ordinance prohibiting the dumping of toxic waste at the site proposed along McCollum Park Road, with a $2000 per day penalty if violated. “I will share with you my letter to USACE and I urge those that have not written a letter yet to please do so asap. We must continue to prepare for the worst case scenario until the permit is actually amended in our favor. My name is Jackey Lasater and I am writing in response to the above referenced permit request. As Mayor of Beach City, I urge you to consider the numerous issues that I/we have in the proposed placement of contaminated dredge material from the ‘area of concern’ located in proximity of the Federal Superfund site in the San Jacinto River near Highlands Texas.